As a child Benita’s dream and goal in life was to become a park ranger like ranger Stacy on ‘Totally Wild’. So after completing VCE she headed off to university to fulfill her childhood dream. Whilst at university and after hearing her Financial Planning lecturer drill into the class - never purchase a tourism business or deal with tourists because of all the stresses she knew she had to give it ago. 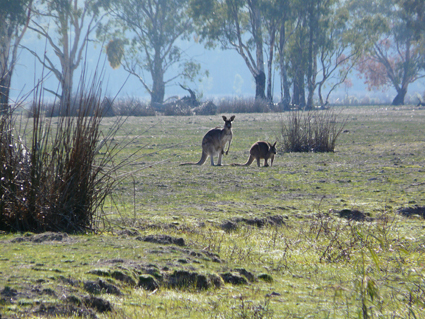 In the year 2000, Benita graduated from Charles Sturt University with a double degree in – Applied Science – Parks, Recreation and Heritage and Applied Science – Ecotourism. 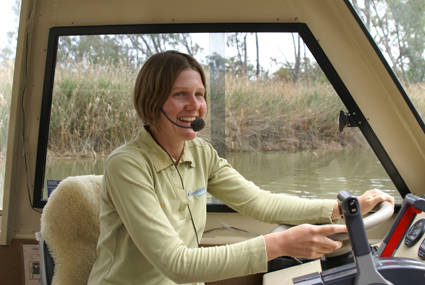 In modern day terms a park ranger, environmental officer or an eco-tourism operator. One of Benita’s work placements whilst at University was with Kingfisher Cruises and Bill Vickers – who was the original owner of the business. Bill was forced to sell the business in 1999 due to ill health. 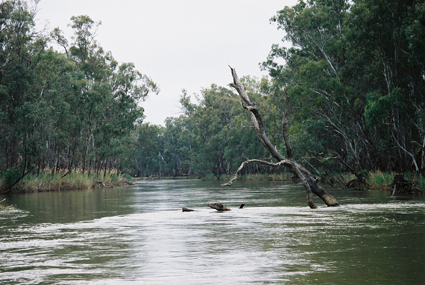 On September 15th 2005 MV Kingfisher was destroyed by fire, after being pulled from the water at its mooring on the Murray River in Barmah State Forest by person/s unknown. The night of the fire, despite the devastation of losing her business, Benita’s determination to start afresh was very evident and January 1st 2006, MV Kingfisher II made her maiden voyage. This vessel is a sister vessel to the original boat and was again built by Bale Engineering in Port Macquarie. And to keep following her dream on April 1st 2006 she married Paul Cox. In July 2009, she has given birth to a daughter Laetitia Rose and August 2011 a son Isaac Paul. The challenges along the way have included the acceptance of Benita being young and female. (River Boat Captains are suppose to be male and weather beaten) And these past three years have been the most challenging in picking up business again, coping with the drought and the perception by many that there is no water in the Murray River has seen Benita work very hard to show case the area she loves so much to world.